There will be plenty of unique items up for auction at this year’s Master Stroke Business Lunch on 12 October. All proceeds from their sale will be donated to Stroke research at Royal Brisbane and Women’s Hospital. 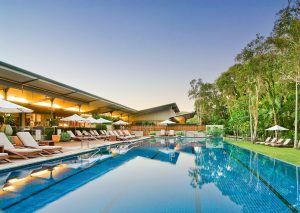 Escape the city and head to the laid-back vibe and gorgeous natural setting of Byron Bay for a luxurious mini-break at The Byron at Byron Bay Resort. This package includes two nights’ accommodation for two people in a one-bedroom suite, a bottle of Australian sparkling wine on arrival, full buffet breakfasts daily and complimentary yoga. You’ll also be able to enjoy the resort gym, tennis court, pool and poolside sauna. As the chill-out capital of Australia, Byron is the perfect place to recharge and relax! Valid until October 2019 and not available over public holidays, Easter or Christmas. The gorgeous Faith small handbag is the epitome of elegance. 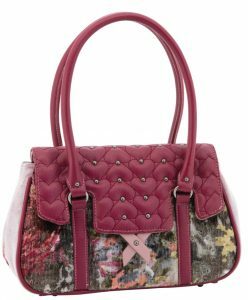 Attractive and convenient all at once, she is the handbag for any occasion, day or night. With sturdy double handles in maroon faux-leather, a striking textured velvet body in tones of red, maroon and dusky grey and gorgeous embroidered heart pattern across the flap embellished with studs, Faith harks back to another era of classic style and grace, while maintaining a little bit of rock stud chic. Kindly donated by Spencer & Rutherford. The Hi-Tec Oils Bathurst 6 hour is a race for performance and production cars at the spiritual home of Australian motor sport, Mount Panorama. 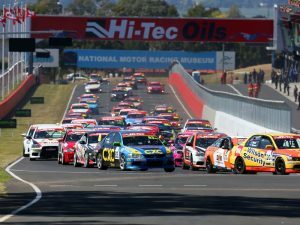 To be held over the 2019 Easter long weekend from 19-21 April, this will be the fourth running of the event that has now firmly entrenched itself as a staple of the local racing calendar, with big grids and sensational racing in the truest Bathurst tradition. With this fun-fuelled ‘Rev Head’ package, you’ll receive 4 x 3 day general admission tickets to the event, a safety car ride for all four ticket holders on the Friday or Saturday, access to the grid (start line) before the big race on Sunday PLUS an invitation to the Bathurst Mayor’s Corporate Suite for lunch on Race Day Sunday (which includes all food and drinks until the race ends at 5.30pm!). Package does not include transport to and from Bathurst or accommodation. Kindly donated by Yeehah Events. 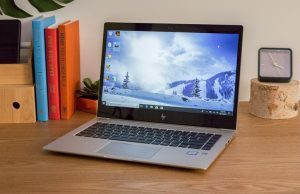 Powered to push your pace, the HP EliteBook 1040 is ready for your biggest challenges in and out of the office. With up to 18-hours of battery life, say hello to the ultrathin device packed with features and ready for your mobile world. 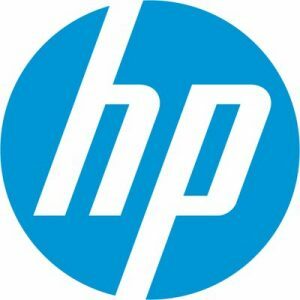 Kindly donated by Hewlett Packard Australia. 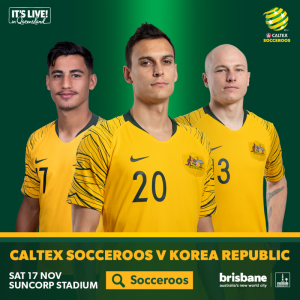 The Caltex Socceroos will play in Brisbane for the first time since the 2015 Asian Cup in an international friendly match against Korea Republic at Suncorp Stadium. Enjoy two tickets to witness the match live on Saturday, 17 November 2018. 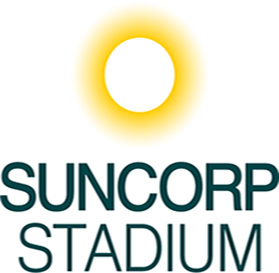 Kindly donated by Suncorp Stadium. 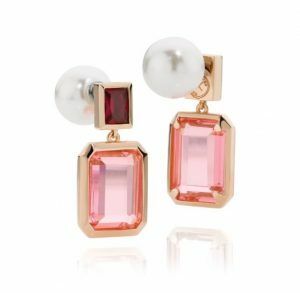 Set with stunning hand-cut rose and fuchsia crystals, this fully reversible rose gold cased sterling silver earrings (with Swarovski pearl backer) are a must have for the party season! 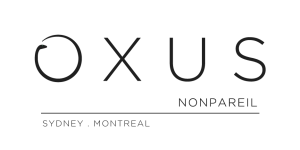 Kindly donated by Oxus. 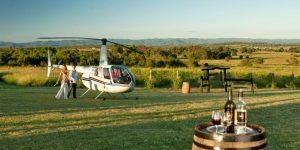 Be whisked away in your own private helicopter to enjoy an afternoon at Sirromet Winery. This extravagant package is for three people and includes a return flights from Redcliffe to Sirromet in a Robinson R44 helicopter. You’ll fly past the spectacular Brisbane Skyline and take in the Taylor Ranges before landing at Sirromet where you are free to explore, dine or simply relax. On your return flight, you will have views out to Moreton Bay and Stradbroke Island followed by the Glasshouse Mountains and Bribie Island as you approach Redcliffe. Valid until October 2019. 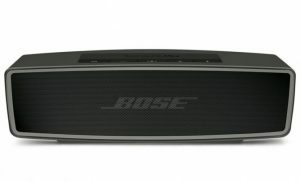 Take your music with you wherever you go with this Bose SoundLink Mini Bluetooth Speaker. Compact and lightweight, this speaker can fit the palm of your hand, making it easy to bring with you anywhere. Features a 10-hour battery life, can be charged with most USB power ports, and is made with a single-piece aluminium casing. 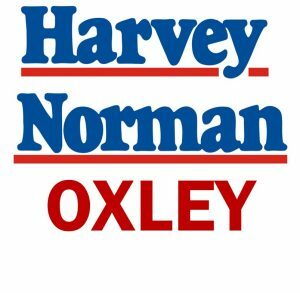 Kindly donated by Harvey Norman Oxley.